If applicant answered YES to any of questions 1-10 on Form T1, you must submit a completed Form T1-A – Physician’s Medical Release Form. Personal History Questionnaire (PHQ) should be completed prior to test date via Law Enforcement Services, Inc. (LESI) web site. Agency will not get results until this has been completed. Applicant does not have to bring a copy of the PHQ to the test site. From West/Morehead/Grayson: Travel east on I-64 and take the KY-180 exit, Exit 185, toward Ashland/Cannonsburg/US-60. Turn left onto KY-180. In 0.7 miles, turn right at the second stoplight onto Midland Trail Rd. The Army Reserve Center will be on the right. From North via US-23S/US-60: Travel south on US-23 and turn right onto US-60 (12th St.). Continue on US-60W for approximately 8 miles until it intersects with KY-180. Continue straight on KY-180 for 1.2 miles, and turn left just past Boyd County High School onto Midland Trial Rd. The Army Reserve Center will be on the right. From South via US-23N: Travel north on US 23. Merge onto I-64W toward Lexington. Take the exit to KY-180, Exit 185, toward Ashland/Cannonsburg/US-60. Turn right onto KY-180. At the first stoplight, turn right onto Midland Trail Rd. The Army Reserve Center will be on the right. From Hopkinsville/US-68: Travel east on US-68/KY-80/Russellville Rd. to Bowling Green. Turn left onto US-231N/US-68E/Veterans Memorial Lane. Travel approximately 1.5 miles and turn right onto Morgantown Rd/US-231 BUS S. Travel 0.5 miles and the armory will be on the left. From Owensboro/Natcher Pkwy: Travel south on Natcher Pkwy. Take Exit 9 for US-231S toward Bowling Green. Turn right onto US-231S/Morgantown Rd. Continue on Morgantown Rd for 1.6 miles (US-231S becomes US-231 BUS S) and the armory will be on the left. From Glasgow/Cumberland Pkwy: Travel east on the Cumberland Pkwy until it ends at I-65. Merge left onto I-65S. Travel approximately 15 miles and exit onto KY-446W via Exit 28 toward US-31W/Bowling Green. Keep left at fork and follow signs for US-31W. Merge onto US-31W/US-68W/Louisville Rd. Stay straight as US-31W/US-68W/Louisville Rd. becomes Kentucky St. and then Adams St. (one-way). Follow Adams St. for 1.1 miles and upon reaching two-way traffic at University Drive, turn right at the first stoplight onto Old Morgantown Rd. Turn right at the end of Old Morgantown Rd onto Morgantown Rd. The armory will be on the right just past the Transportation Building. From Louisville/I-65: Travel south on I-65 toward Nashville. At Exit 28, merge onto KY-466W toward US-31W/Bowling Green. Keep left at fork and follow signs for US-31W. Merge onto US-31W/US-68W/Louisville Rd. Stay straight as US-31W/US-68W/Louisville Rd. becomes Kentucky St. and then Adams St. (one-way). Follow Adams St. for 1.1 miles and upon reaching two-way traffic at University Drive, turn right at the first stoplight onto Old Morgantown Rd. Turn right at the end of Old Morgantown Rd onto Morgantown Rd. The armory will be on the right just past the Transportation Building. NOTE: This location is used for Physical Agility Tests ONLY. 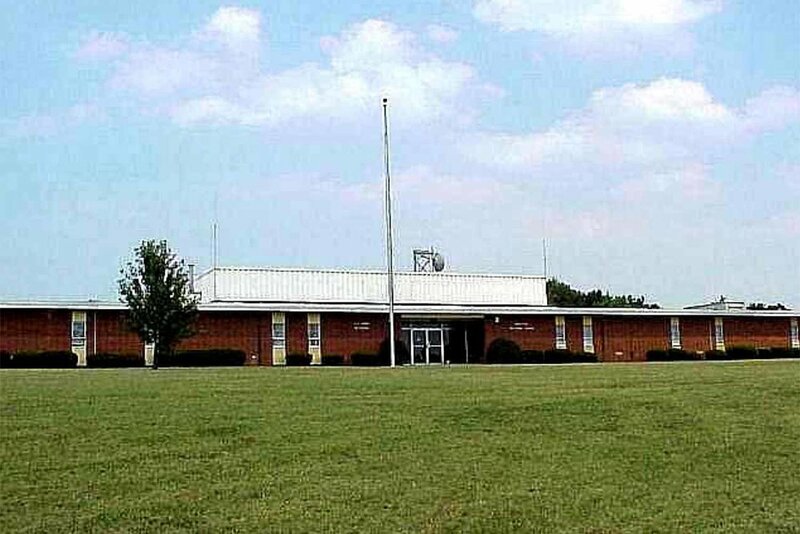 All other testing (Phase I Suitability Screener, Phase II Polygraph and Drug Screen) will be conducted at Hazard National Guard Armory (see PHASE II location map). From West/London: Travel east on Hal Rogers Parkway. Take the KY-15/KY-80 exit (Exit 59) toward Jackson/Hazard. Turn right onto KY-15/KY-80 toward Hazard. Continue to follow KY-15. Turn right onto Bulldog Lane. The facility will be on your right. From North/Jackson: Travel south on KY-15. Continue to follow KY-15. Turn right onto Bulldog Lane. The facility will be on your right. From East/Pikeville: Travel north/west on US-23N/KY-80W/US-460W. Turn left onto KY-302/KY-80 and continue to follow KY-80 West. Take the KY-15/KY-80 exit (exit 59) toward Jackson/Hazard. Turn left onto KY-15/KY-80 toward Hazard. Continue to follow KY-15. Turn right onto Bulldog Lane. The facility will be on your right. From South/Middlesboro: Travel north on US-25E. At Pineville, turn right onto Pine St/KY-66. Turn right onto KY-221/Stoney Fork Rd. Follow KY-221 until it intersects with US-421. Stay left and continue on US-421N. Turn right onto KY-118 at Hyden. Turn right onto Hal Rogers Parkway and travel 24.9 miles. Turn left onto Village and then right onto Dawahare Drive. Follow Dawahare Drive for 0.5 miles. The Armory will be on your left. NOTE: Park on the west side of building and enter through back doors. There are currently security barricades that partially block Century Division Way and other roads. Enter at Sidney Park and proceed through the barricades to the parking lot. You are allowed to go around the barricades. From East/Frankfort: Travel west on I-64 toward Louisville. Exit at Cannons Lane, Exit 10. Turn left and continue on Cannon Lane for about 0.7 miles. Turn right onto either Century Division Way or Sidney Park Dr. Travel around to the back parking lot of the armory. Please note that Century Division Way is sometimes barricaded. Sidney Park Dr. will be the street immediately before Century Division Way. From South/Shepherdsville: Travel north on I-65 and merge onto I-264E/Watterson Expressway E via Exit 131A. Exit onto KY-155 N/Taylorsville Rd. via Exit 17B. Turn right onto Dutchman’s Lane and in 0.5 miles, turn left onto Cannons Lane. Take the first left onto Century Division Way or the second left onto Sidney Park Dr. Travel around to the back parking lot of the armory. Please note that Century Division Way is sometimes barricaded. From North/Sparta: Travel south on I-71. Merge left onto I-264W/Waterson Expressway W via Exit 5. Take Exit 20 for I-64 toward Lexington/Louisville. Keep right at fork to merge onto I-64W via Exit 19B and follow the signs for I-64W/ Louisville. Exit at Cannons Lane, Exit 10. Turn left and continue on Cannons Lane for 0.7 miles. Turn right onto either Sidney Park Dr. or Century Division Way. Travel around to the back parking lot of the armory. Please note that Century Division Way is sometimes barricaded. Sidney Park Dr. will be the street immediately before Century Division Way. From Henderson/North: Travel south on 1-69 toward Madisonville/Fulton. Take the KY-260 exit, Exit 120, toward Hanson. Turn right onto KY-260 and drive 0.5 miles. Turn left onto US-41S/Hanson Rd. and travel approximately 2.7 miles. The high school will be on the right. Please note that the testing site is located in the fieldhouse adjacent to the football stadium behind the school. From Hopkinsville/South: Travel north on Edward T. Breathitt Pennyrile Parkway toward Madisonville. Pennyrile Parkway N becomes 1-69N at the junction with Wendell H. Ford Western Kentucky Parkway. Continue north on 1-69. Take the US-41N exit, Exit 117, toward Madisonville. Merge onto Hanson Rd/US-41N and travel 0.8 miles. The high school will be on the left. Please note that the testing site is located in the fieldhouse adjacent to the football stadium behind the school. From Elizabethtown/East: Travel west on Wendell H. Ford Western Kentucky Parkway toward Paducah/Leitchfield. Take Exit 38C toward l-69N/Henderson. Continue north on 1-69. Take the US-41N exit, Exit 117, toward Madisonville. Merge onto Hanson Rd/US-41N and travel 0.8 miles. The high school will be on the left. Please note that the testing site is located in the fieldhouse adjacent to the football stadium behind the school. From Eddyville/West: Travel north/east on l-69N to the junction with Wendell H. Ford Western Kentucky Parkway and Edward T. Breathitt Pennyrile Parkway. Keep left on l-69N toward Henderson. Take the US-41N exit, Exit 117, toward Madisonville. Merge onto Hanson Rd/US-41N and travel 0.8 miles. The high school will be on the left. Please note that the testing site is located in the fieldhouse adjacent to the football stadium behind the school. NOTE: This location is used for Phase I Suitability Screener Tests ONLY. All Physical Agility Tests will be conducted at the Murray State University CFSB Center (see map below). From Northeast/Paducah: Travel east on I-24. Take I-69S exit, Exit 25A, toward Fulton (formerly the Purchase Parkway). Proceed south on I-69 for approximately 10 miles. Take US-641 SPUR South, Exit 41, toward Hardin/Murray. Merge onto US-641 and continue south. Once in Murray, US-641S becomes N. 12th Street/US-641S. Turn right onto Chestnut Street/KY-1327. Travel 0.4 miles and turn left onto Waldrop Drive. The Center is straight ahead. Make an immediate right and park in the Murray State University Police Department lot. Enter the test site through the dome on the right of the building. From Northwest/Eddyville: Travel west on I-24/I-69S. Keep left at I-69S exit, Exit 25A, toward Fulton (formerly the Purchase Parkway). Proceed south on I-69 for approximately 10 miles. Take US-641 SPUR South, Exit 41, toward Hardin/Murray. Merge onto US-641 and continue south. Once in Murray, US-641S becomes N. 12th Street/US-641S. Turn right onto Chestnut Street/KY-1327. Travel 0.4 miles and turn left onto Waldrop Drive. The Center is straight ahead. Make an immediate right and park in the Murray State University Police Department lot. Enter the test site through the dome on the right of the building. From East/Hopkinsville/Cadiz: Travel west on US-68/KY-80. Just past Kentucky Lake, stay straight on KY-80W for approximately 14 miles. Turn left onto US-641S. Once in Murray, US-641S becomes N. 12th Street/US-641S. Turn right onto Chestnut Street/KY-1327. Travel 0.4 miles and turn left onto Waldrop Drive. The Center is straight ahead. Make an immediate right and park in the Murray State University Police Department lot. Enter the test site through the dome on the right of the building. From West/Mayfield: Travel east on KY-80 toward Murray. Turn right onto Kirksey Road/KY-299. Travel 1.0 miles, then turn left onto KY-121. Continue on KY-121 approximately 4.2 miles and turn right onto N. 16th Street. Turn left at the first stoplight (Chestnut St.) and take the first right onto Waldrop Drive (just past the Police Department). The Center is straight ahead. Park in the Police Department lot on the right. Enter the test site through the dome on the right of the building. NOTE: This location is used for Physical Agility Tests ONLY. Phase I Suitability Screener will be conducted at the Collins Industry & Technology Center (see map above). From Northeast/Paducah: Travel east on 1-24. Take 1-69S exit, Exit 25A, toward Fulton (formerly the Purchase Parkway). Proceed south on 1-69 for approximately 10 miles. Take US-641 SPUR South, Exit 41, toward Hardin/Murray. Merge onto US-641 and continue south. Once in Murray, US-641S becomes N. 12th Street/US-641S. Turn right onto KY-121 (stoplight before Roy Stewart Stadium). CFSB Center is on the left, behind the football stadium. From Northwest/Eddyville: Travel west on 1-24/1-695. Keep left at 1-69 exit, Exit 25A, toward Fulton (formerly the Purchase Parkway). Proceed south on 1-69 for approximately 10 miles. Take US-641 SPUR South, Exit 41, toward Hardin/Murray. Merge onto US-641 and continue south. Once in Murray, US-641S becomes N. 12th Street/US-641S. Turn right onto KY-121 (stoplight before Roy Stewart Stadium). CFSB Center is on the left, behind the football stadium. From East/Hopkinsville/Cadiz: Travel west on US-68/KY-80. Just past Kentucky Lake, stay straight on KY-80W for approximately 14 miles. Turn left onto US-641S. Once in Murray, US-641S becomes N. 12th Street/US-641S. Turn right onto KY-121 (stoplight before Roy Stewart Stadium). CFSB Center is on the left, behind the football stadium. From West/Mayfield: Travel east on KY-80 toward Murray. Turn right onto US-641S. Once in Murray, US-641S becomes N. 12th Street/US-641S. Turn right onto KY-121 (stoplight before Roy Stewart Stadium). CFSB Center is on the left, behind the football stadium. NOTE: This location is used for Physical Agility Tests ONLY. All other testing (Phase I Suitability Screener, Phase II Polygraph and Drug Screen) will be conducted at Independence Police Department (see map below). Tests are conducted inside the Albright Health Center/Campus Recreation Center (AHC) located on the NE corner of Kenton Dr/Johns Hill Rd. Visitor parking in Kenton Drive Parking Garage (minimal fees charged). From West/South: Travel north on I-71 and/or I-75. Merge onto I-275E at Exit 185. Continue east on I-275 for 9.2 miles and take Exit 76, Three Mile Rd/Northern Kentucky University. Turn right onto Three Mile Rd. At the traffic circle (roundabout), take the second exit onto University Dr. Turn right onto Kenton Dr. and continue for less than a mile. The Campus Recreation Center will be on your left. Parking garage will be on your right. From North/Newport/Downtown Cincinnati, Ohio: Travel south on I-471. Follow I-471 and merge onto US-27 South towards Alexandria (I-471 ends at US-27). Continue straight on US-27S/Alexandria Pike. Turn right at the 2nd traffic light onto Louie B. Nunn Dr. Turn left onto University Dr. at the traffic circle (roundabout). Turn right onto KY-2345/Johns Hill Rd. at the next traffic circle (roundabout). In 0.4 miles, turn right onto Kenton Dr. The Campus Recreation Center will be on your right. Parking garage will be on your left. From East/Maysville: Travel north/west on KY- 9/AA Highway. Continue to follow KY-9N/AA Highway. Take the US-27 exit, Exit 14, toward Cold Spring/Alexandria. Turn right onto US-27N/Alexandria Pike. Continue straight on US-27N/Alexandria Pike for 2.3 miles. Turn left onto KY-2345/Martha Layne Collins Blvd. Continue on KY-2345, as it becomes Johns Hill Rd. Turn right onto Kenton Dr. The Campus Recreation Center will be on your right. Parking garage will be on your left. NOTE: This location is used for Phase I Suitability Screener, Phase II Polygraph and Drug Screen Tests ONLY. All Physical Agility Tests will be conducted at the Albright Health Center/Campus Recreation Center on the Northern KY University campus (see map above). From North/Covington: Travel south on Madison Ave/KY-17. Follow signs for KY-17S, as Madison Ave. becomes Madison Pike. Continue to follow KY-17S. Turn right onto KY-17/Pelly Rd. Continue straight on KY-17, as Pelly Rd. becomes Madison Pike. In approximately 2.1 miles, the Police Department will be on your right. From East/Maysville: Travel north/west on KY- 9/AA Highway. Continue to follow KY-9N/AA Highway. Merge left onto I-275W toward I-71W/I-75W/Airport. Take Exit 80 for KY-17 toward Independence/Covington. Turn right onto Madison Pike/KY-17S. Turn right onto KY-17/Pelly Rd. Continue straight on KY-17, as Pelly Rd. becomes Madison Pike. In approximately 2.1 miles, the Police Department will be on your right. From West/Carrollton: Travel north/east on I-71. Continue to follow I-71N as it merges with I-75N. Take Exit 178 and turn right onto KY-536/Mt. Zion Rd. Follow KY-536, as it becomes Bristow Rd, Independence Rd and Shaw Rd. Turn left onto Madison Pike/Ky-17 and travel 0.4 miles. The Police Department will be on your left. From South/Cynthiana: Travel north on US-27. After passing through Falmouth, turn left onto KY-17. Continue to follow KY-17N. Just past Simon Kenton High School at Sidney Drive, turn left and almost immediately right to stay on Madison Pike/KY-17. In 0.6 miles, the Police Department will be on the left. NOTE: General parking available in Thompson or Perkins parking lots. From North or South via I-75: From I-75 take exit 87 and proceed east on Route 876, the Eastern By-pass. Follow By-pass to Lancaster Rd. (Route 52), turn right and follow to the first traffic light. Turn left onto Kit Carson Drive and follow to the second right turn (sign marked “Department of Criminal Justice Training”).